Skid Steer Loaders for Sale in Utah | Wheeler Machinery Co. 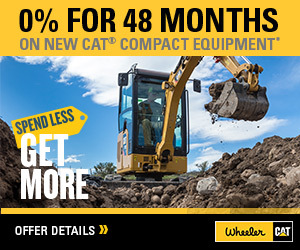 If you require a versatile machine to aid your work efforts, Wheeler Machinery can supply you with a new skid steer loader that will deliver on every expectation. 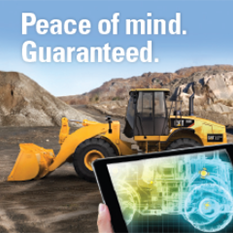 Throughout Utah, you'll find that you can tackle plenty of tasks with much better efficiency when using new skid steer equipment from Caterpillar — one of the world's premier heavy equipment providers. Based out of Salt Lake City and situated in various high-profile spots, we have more than 600 employees who are ready and willing to assist your search. 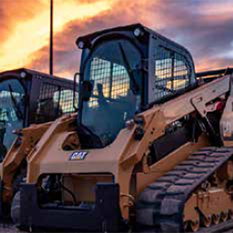 Cat has developed a range of top-tier machinery that reliably performs on many metrics, and skid steer loaders are no exception. They all come equipped with durable buckets that can scoop and transport all sorts of material, including dirt, snow, hay, salt, sod and much more. A vertical lift design offers extended reach and superior lifting height when loading and unloading, and many models supply high-powered drawbar power and digging performance without missing a beat. Skid steer loaders also offer a surprising degree of mobility on the job site due to their ability to maneuver within their tracks. Cat skid steer loaders generally fall into three classifications — small, medium and large frame. Small loaders tend to have a rated operating capacity (ROC) between 1,500 and 1,700 pounds, and they fit in well with less stressful jobs like landscaping and site development. The more compact size allows for better movement in tight spaces, like underground construction. Medium loaders can typically carry a ROC between 1,800 and 2,200 pounds, and horsepower ranges from roughly 66 to 73. As the best "one size fits all" option available on the market, these skid steer loaders offer economical design and performance while assuming more demanding responsibilities. Finally, large loaders rate between 2,200 and 3,650 pounds, and they can reach a maximum of 106 horsepower. As the truest heavy-duty option in the lineup, large skid steers will see deployment in road building as well as grading and excavating. If you'd like some guidance while parsing through our diverse inventory, our customer service team will gladly assist. We will consult with you to match up project needs with product specifications, and we also offer free quotes on potential purchases. Fill out our contact form today or give us a call to speak with one of our experienced team members.